Remove the cartridges out of the printer and shut printer off. Unplug printer from the power outlet and your computer as well. Turn off your computer as well (if you are able to). Wait a few minutes before turning on your printer. Plug in the printer to the outlet and to your computer as well. Turn your printer on and wait until it starts up. Install the printer cartridges, and if alignment page does not print out automatically, try doing it manually. The reset of the printer should allow the printer to read the new cartridge. Supported printers: HP Deskjet 2541 HP Deskjet 2542 HP Deskjet 2543 HP Deskjet 2544 HP Deskjet 3000 HP Deskjet 3050 HP Deskjet 3050A HP Deskjet 3051A HP Deskjet 3052A HP Deskjet 3054 HP Deskjet 3056A HP Deskjet 3510 HP Deskjet 3511 HP Deskjet 3512 The cartridge contacts are not making a firm connecting with the printer contacts. 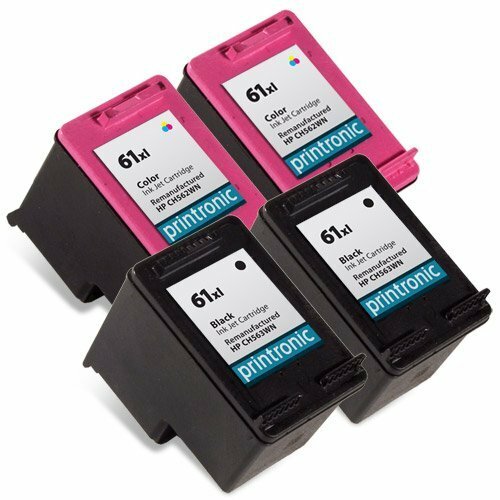 This happens if the customer has not installed the cartridges properly or if the cartridge contacts or printer contacts are dirty. Tell the customer to make sure that both of the contact points are clean and that the cartridge is installed firmly. If you have any questions about this product by Printronic, contact us by completing and submitting the form below. If you are looking for a specif part number, please include it with your message.